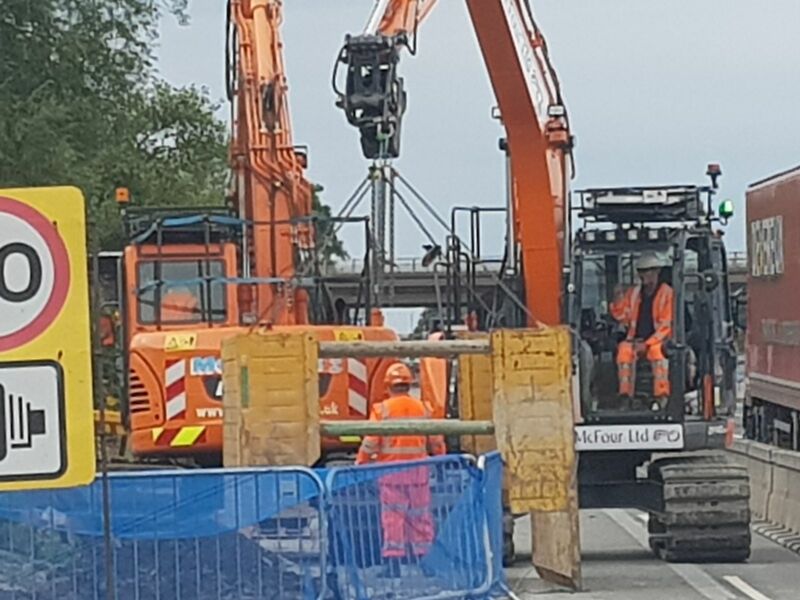 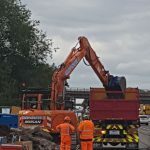 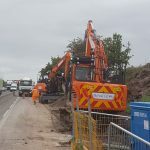 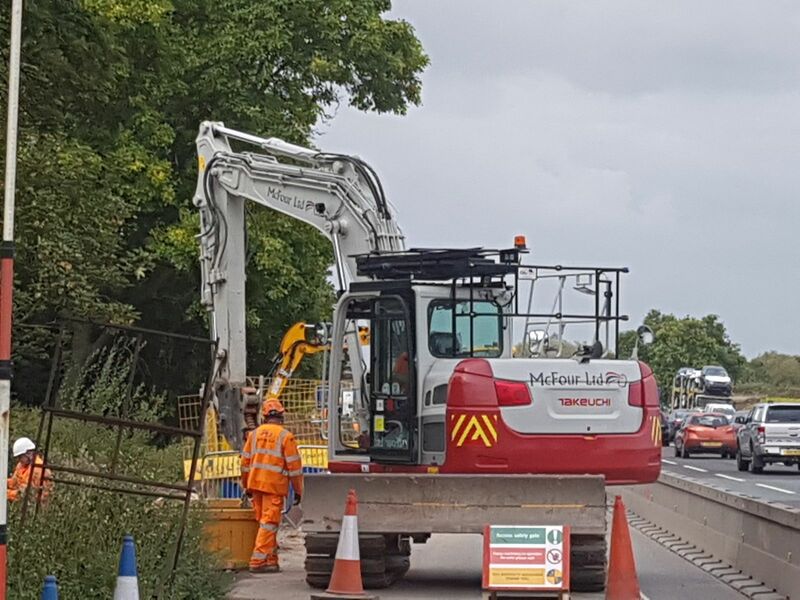 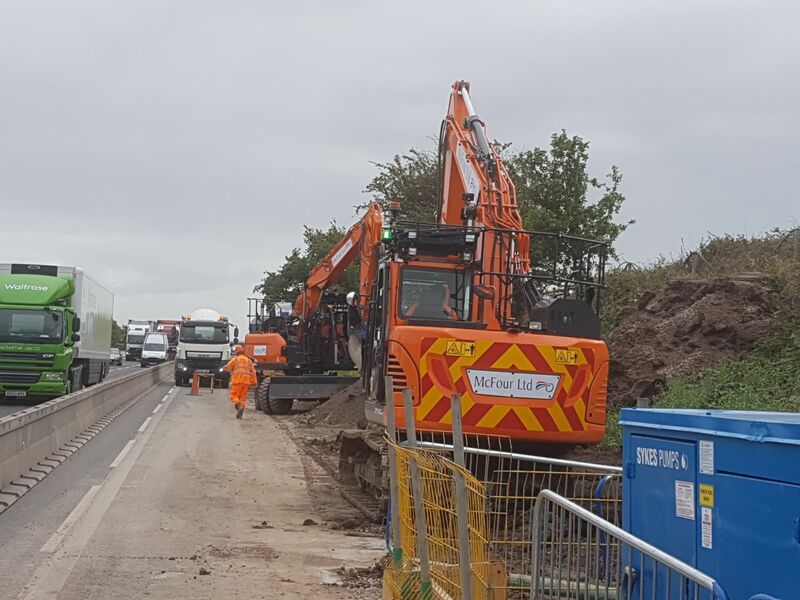 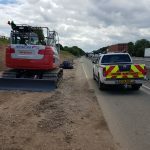 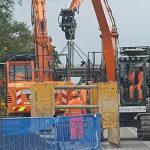 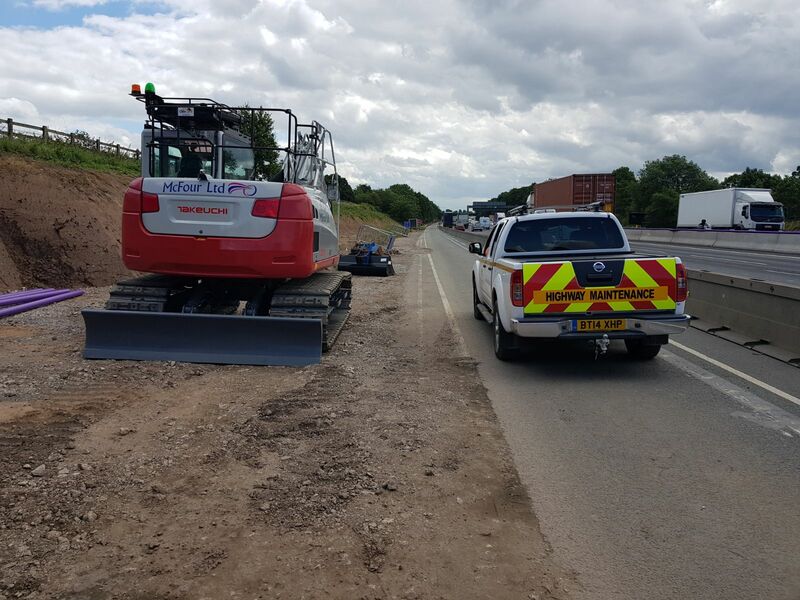 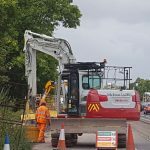 McFour Ltd were engaged by the Carillion Kier Joint Venture to reconstruct and install new drainage to the verges adjacent to the carriageway. 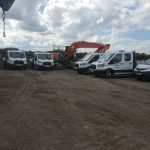 Works include the installation of drainage up to 800mm and associated catchpit chambers up to 5m deep in variable ground conditions including well point dewatering. 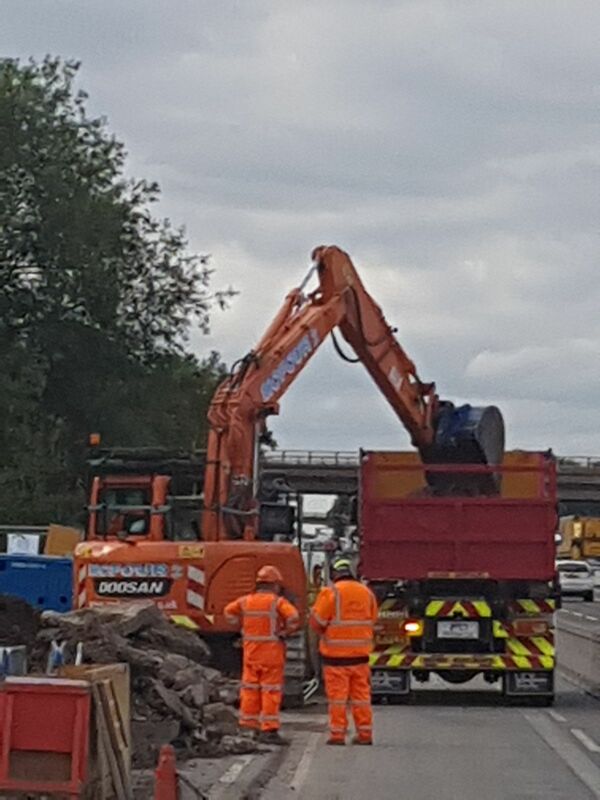 The package is being delivered adjacent to one of the busiest sections of motorway in the UK whilst keeping all traffic flowing. 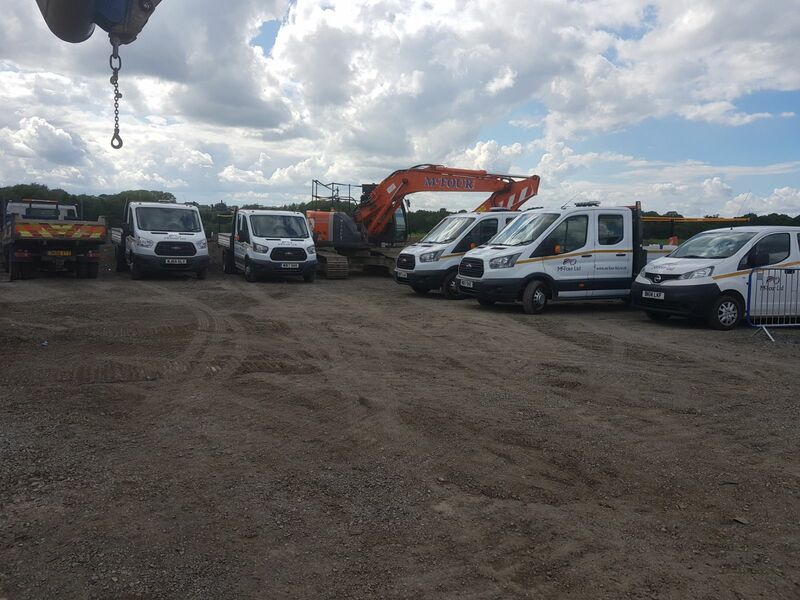 This has entailed McFour deploying extensive labour resources and a large fleet of our plant and equipment to deliver the project in a tight programme constraint.